Are Recipes on the Internet Original? 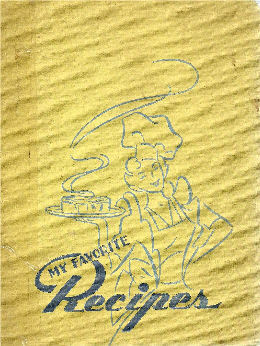 I'm totally amazed that so many people turn to the Internet to find recipes these days but then again, if you don' t have a cookbook collection what else can you do? Hey, what are you doing---"I'm searching for a recipe to cook for dinner", or "I'm searching for a chocolate chip cookie recipe", is often heard in many households. Which one will you choose and will it be a good one is the big question! Well, providing you search on a reputable site such as Epicurious, Gourmet and a few others, including goodcooking.com, you will more than likely be happy with your selection. In your search you might wind up on Aunt Tilly's page with hundreds of recipes that she's posted---but did you know Aunt Tilly is a terrible cook?! In fact her children would rather eat at a friend's house than at home, ouch! Yet you say to yourself, "this recipe sounds good", not knowing what her kids think of it. And you don't even know that she copied the recipe from Cousin Mary and then tweaked a few ingredients to her liking and called it her own. Guess what, Mary is a terrible cook too! It's on the Internet it must be good you say. It's time to wake up!!! Well so it goes, hundreds of recipes are floating around that represent this scenario and then they get copied, and reposted as "my recipe" without ever being tested, that is, actually made by the person to taste for themselves, before they go online. To top it off, others then copy Aunt Tilly's recipes and repost them as their own. This is perfectly legal because a recipe cannot be copyrighted. Julia Child once told me to consider it a form of flattery, someone thought your recipe was so good that they copied and perhaps tweaked it to look like their own and then to pass it on as their own--but that was before the Internet came about with hundreds of cooking sites vying for market share. Cooking is a skill, it's about learning techniques and not all in the recipe itself. In classes I have taught, I've given twelve students the exact same recipe; ingredients, pots, pans and stoves and asked them to follow the recipe and instructions to the letter. At the same time I'm preparing the same dish too. Upon completion and the plating of the cooked food, guess what---there are thirteen different looking and thirteen different variations of flavor profiles of the dishes. Considering I'm the instructor and a good cook too, mine will be the standard; is this amazing or what? Shouldn't they all be the same? Yes, they should! I can point out to each student what made their dish different from mine and even from each other's; this is what learning to cook is all about. Skill you say, is "cooking" really a skill or is it about the recipe? Let's pick a recipe to see what I mean when it comes to recipes you may find on the Internet. We'll compare the recipes and cooking instructions to see if we can tell if it is copied or original. Bear in mind that there are some recipes that need to be prepared and cooked because a ratio of ingredients is need to have it come out consistently. Boiled rice is a perfect example; 1 cup of rice and 2 cups liquid plus 1/2 tsp. salt brought to a boil, in a heavy bottom sauce pan and then the heat is reduced to just a simmer with the pot covered and all is cooked 20 minutes. Probably every package of white rice in the world uses this "standard recipe"! I took 20 website addresses that I found by searching for Mac and Cheese and put their names on pieces of paper and literally put them in a pot, and then I drew 4 out to compare. I also took a recipe found on the back of a box of Mueller's elbow macaroni. I wanted to be a fair as possible with this sampling, not to accuse anyone of copying a recipe, rather point out what I found in comparing them side by side, and then comment on them from my chef perspective. Hopefully this will be helpful for you and will teach you a bit of what to look for in a good recipe. Here I am looking at the ingredients and not really the order of them or the method of cooking. For example, I'm not comparing the amount of time you cook the macaroni or for how you boil the milk, microwave or stove top. You might put croutons on top, a dash of paprika or slices of tomatoes. I want to see ratios and similar or not so similar ingredients and amounts. Amount of milk, butter, flour, cheese, salt, pepper and macaroni will be the point of comparison and will lead to a deduction and being somewhat like Sherlock Holmes of the food world. Preheat the oven to 350 degrees F. Butter a 2-quart baking dish with 1 tablespoon of the butter and set aside. Melt the remaining 5 tablespoons butter in a heavy 3-quart saucepan over medium heat. Add the flour, and stirring constantly with a wooden spoon, cook over medium heat for 3 to 4 minutes, being careful not to let the flour brown. Using a whisk, add the milk in a steady stream and cook, whisking constantly, until thick and smooth, 4 minutes. Remove from the heat. Add the salt, pepper, cayenne, and 2 cups of the cheese, and stir well. Add the noodles and stir well. Pour into the prepared dish. In a mixing bowl, combine the remaining 1/2 cup of cheese with the bread crumbs and Essence. 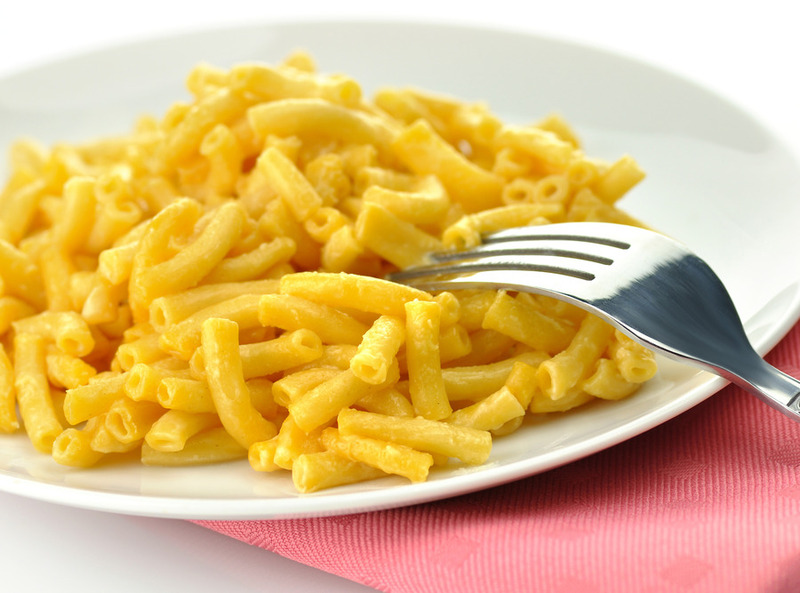 Sprinkle evenly over the macaroni and bake until golden brown and bubbly, about 25 minutes. 1. Prepare pasta according to package directions. Keep warm. 2. Melt butter in a large saucepan or Dutch oven over medium-low heat; whisk in flour until smooth. Cook, whisking constantly, 2 minutes. Gradually whisk in milk, and cook, whisking constantly, 5 minutes or until thickened. Remove from heat. Stir in salt, black and red pepper, 1 cup shredded cheese, and cooked pasta. 3. Spoon pasta mixture into a lightly greased 2-qt. baking dish; top with remaining 1 cup cheese. 4. Bake at 400 for 20 minutes or until bubbly. Let stand 10 minutes before serving. 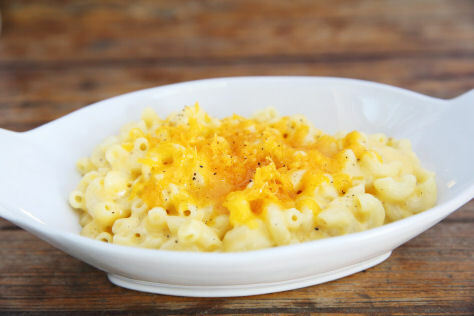 One-Pot Macaroni and Cheese: Prepare recipe as directed, stirring all grated Cheddar cheese into thickened milk mixture until melted. Add cooked pasta, and serve immediately. Prep: 10 min., Cook: 7 min. Cook macaroni and drain. Melt butter and whisk in flour. Add milk and stir until thickened. Add seasonings. Add 1 1/2 cups of cheese. Stir until melted. Put cooked macaroni into a greased casserole. Pour cheese mixture over the macaroni. Arrange tomato slices on top. Sprinkle cheese over top. Bake at 350 degrees for 30 minutes. Preheat oven to 400 . Microwave milk at HIGH for 1 1/2 minutes. Melt butter in a large skillet or Dutch oven over medium-low heat; whisk in flour until smooth. Cook, whisking constantly, 1 minute. Whisk in salt, black pepper, 1 cup shredded cheese, and, if desired, red pepper until smooth; stir in pasta. Spoon pasta mixture into a lightly greased 2-qt. baking dish; top with remaining cheese. Bake at 400 degrees for 20 minutes or until golden and bubbly. Is there a gold standard recipe? Well if you live in the USA, there is a very well known elbow macaroni---Mueller's. So this is where I'm going to for their back of the box recipe for mac and cheese. Let's see how the recipes above compare to it. Mueller's has been around since way before the Internet: 1867 in fact, and its macaroni products like elbows since 1894. 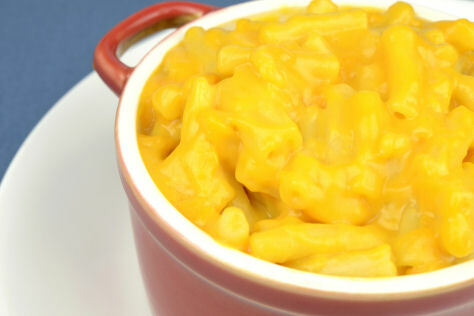 The recipe for mac and cheese has been around since the 1920's. (5) Straight from the back of the box of Mueller's enriched elbow macaroni. 1. Cook elbow macaroni for 9 minutes. 2. Drain, cover and set aside. 4. In medium saucepan, melt margarine or butter; blend in flour, mustard, salt (if used), and pepper. 5. Cook until mixture is smooth and bubbly; gradually add milk. 6. Cook and stir over medium heat until mixture boils; simmer 1 minute, stirring constantly. 7. Gradually mix in cheese. Stir over low heat until cheese is melted. 8. Add pasta; mix together lightly. Pour into 2 quart casserole.